Located minutes from downtown Truckee and Northstar ski resort is a quiet and tranquil community known as Lahontan. 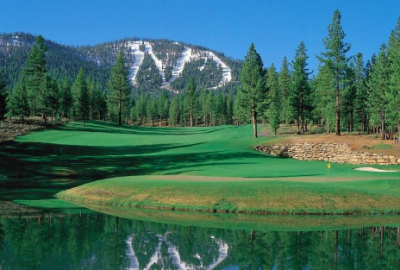 Lahontan is also known as Lake Tahoe/Truckee’s first private gated golf club community, featuring a 27-hole championship golf course designed by Tom Weiskopf. Additional amenities include; tennis, dining, club house, boat house, spa & fitness facility, and Camp Lahontan family recreation center. Homes/land in this community are some of the most coveted parcels in all of Truckee and North Lake. Lots are approximately ¾ acre in size and range in price from $200,000, to $1,000,000 depending on location and views. Custom luxury homes start at $1,500,000 and go up to $6,000,000. The architectural and design standards are uncompromisingly high. The results are a flawless blend of “Old Tahoe” and superlative craftsmanship that feature impressive finishes. These homes showcase beautiful woodwork, varieties of natural stone, open-beamed high ceilings, and extensive windows to frame the captivating views. Lahontan offers the perfect mix of classic mountain comfort and modern standards of perfect luxury.